I've been seeing more and more about dry shampoos and how they can be a option for refreshing your hair without having to go through a full wash. This got me thinking about how would dry shampoo work on my dark and relaxed hair. So I decided to give it a try. "Our refreshing dry shampoo contains keratin and absorbs oils to help clean your hair so it's refreshed, smooth and manageable between regular washes. "Shake can well before and during application. Hold 8-10 inches away from hair and spray directly on oily roots. Use your fingers to rub in excess powder. Brush out for hair that is refreshed. If dispenser clogs, rinse with warm water." "Isobutane, Propane, SD Alcohol 40 B, Aluminum Starch Octenylsuccinate, Butane, Fragrance, Isopropyl Myristate, Silica, Cyclopentasiloxane, Hydrolyzed Keratin"
When I first used the Suave Keratin Infusion Dry Shampoo it made my scalp itch like crazy. I then put it in my hair care drawer and forgot about it. After several months I brought it back out when I needed to freshen up my hair and rid it of some oils from product overload. These times I didn't experience the itchy scalp. It has a fragrant smell that isn't pleasant but lessens after a few hours. It will leave a white residue on darker hair if not held far enough away. Also, I have never experienced an increase in volume or body when I've used it. 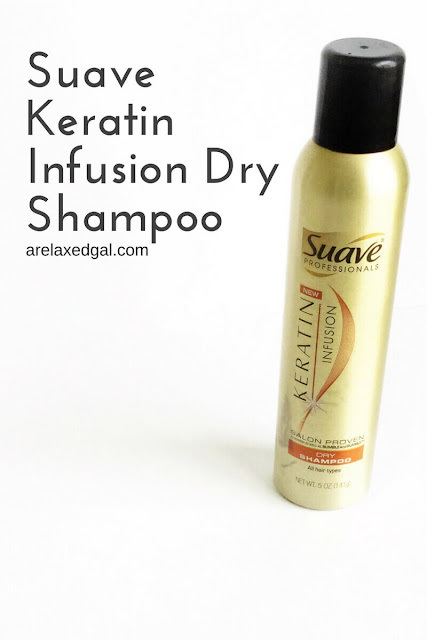 The Suave Keratin Infusion Dry Shampoo isn't something that I would make a staple. Mostly because it's not something I need to use on a regular basis. It has been useful when I'm looking to extend the time between wash days when my hair is having product overload. Thanks for the review! 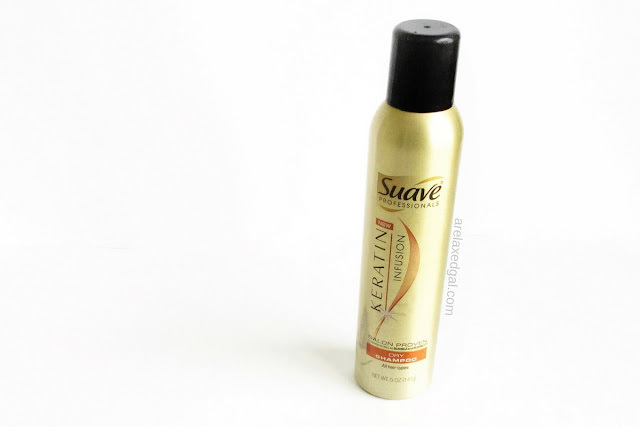 I have never used a dry shampoo before was curious as to how it worked. I received a small sample at an event I attended, but was unsure about using it. This was my first time using dry shampoo. I'd read a few things about it and was somewhat hesitant to try it. What brand is the dry shampoo sample you received Candra?